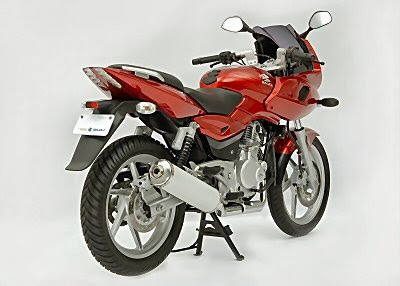 Bajaj Auto, the giant two wheelers manufacturing company of India has scheduled to release a latest model of very successful motor bike Pulsar is named as new Pulsar 250cc. This motor bike has the advanced technology features and also has the splendid look. Bajaj Pulsar 250 is designed in such a way that can able to provide the maximum safety and also the real pleasure of riding to its rider. 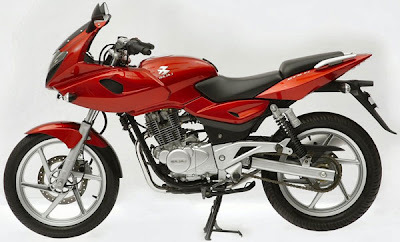 The Bajaj Motors has planned to launch this motor bike in November, 2011. This motorcycle will have the superior quality, which can able to compete with the segment of 250cc like Yamaha Fazer 250, Honda CBR 250R, Kawasaki Ninja, etc. This motorcycle will be availed in the market of India at very reasonable price, which can be really affordable for the people. The Bajaj Pulsar 250 has the power engine with the engine displacement of 250cc. The engine of this powerful motor bike is also has the 4 stroke type engine equipped with the 4 valves and also equipped with the advanced technology of air cooled. This powerful engine can able to generate the maximum power of 30 Bhp. The performance of this engine is very impressive, which is just perfect for the road of India. The Bajaj Pulsar 250 has also some addictive quality, which creates differentiate between Bajaj Pulsar 250 and all other 250cc engine motor bikes of India like Yamaha Fazer 250, TVS Taurus Fiero F3 and also many more. This motor bike has included with some improved additional features and also an upgraded engine by the manufacturing company of Bajaj Motors. The Bajaj Pulsar 250 CC has very strong chassis and also has the attractive look, which makes it a superior motor bike among all the motor bikes of 250 CC segment in the automotive market of India. The front suspension of this motor bike is equipped with the advanced telescopic type and the rear suspension is based on monoshock suspension. This motor bike will be suitable for those people, who wants to ride sporty look bike and some wants to have the greatest mileage. The fuel performance of this motor bike is most economical Compare to all other motor bikes. The key factor of this motor bike is its price, which is affordable for the every common people of India. Bajaj Pulsar 250 can able to provide the maximum safety and also the real pleasure of riding to its rider. Other Bajaj Pulsar family bikes are Bajaj Pulsar 135cc, Bajaj Pulsar 150cc, Bajaj Pulsar 180cc and Bajaj Pulsar 220cc. FAKE! This guy put the post just to increase hits. Sheer nonsense. Displays snaps of P220. Info is stale too. Go to school and learn English first. This is old news.. and pictures look 220 cc pulsar.